Chiropractor delmas florida krugersdorp rooderpoort weltevredenpark helps you find your local DC. You may have heard that chiropractic could help you with a condition you are battling with, perhaps head neck pain or lower back and leg pain, or even something more complex like meralgia paresthetica which causes pain and tingling in the thigh and sometimes the groin; you have pain in the chest and perhaps this Tietzes syndrome casefile may shed some light. Sixty percent of the average chiropractor's day has to do with the lower back and a radiating paresthesia to the leg; that could be what is today being called pelvic girdle pain, or PGP, in the research, disc or facet degenerative changes. Manual treatment of various sorts. Patient education was found to be safe and effective when considering sick leave taken, pain and disability. Exercise therapy found moderate support in the literature. Chiropractic, osteopathic and massage treatments all showed positive results but there were no striking evidence that one was more beneficial than the other. But you are a little uncertain. Chiropractic is still not, despite enormous strides in the last decade, entirely recognised as kosher. So What is Chiropractic and Why Chiropractic Help? These are sensible questions and this site aims to answer these legitimate doubts that you may be having. Consulting a chiropractor you will find is little different to consulting your medical doctor. S/he will ask you certain questions pertinent to your problem, and your general health, they will examine you and then make certain proposals as to how the condition can best be treated. Only the treatment wont be with drugs and surgery but using certain manipulative and mobilising techniques, and rehabilitative exercises. It's the opinion of chiropractors that many of the conditions that afflict us as adults have their source in a childhood injury. What's good for the goose is equally beneficial for the gander; and if chiropractric helps adults, then it's also good for your kids, and even infants. You may be terrified of the thought of letting a ruk en pluk loose on your 6 week old baby, but rest assured, just as we have special techniques for the elderly, so we adapt them for children. There's nothing more satisfying than treating a colicky infant. Mostly, with colic chiropractic the results are pretty well instantaneous. It's rare that a colicky baby isn't much improved after just 3 or 4 treatments. Just this week we've had great success with a child of 16 months who wouldn't walk, or even stand. He wasn't in obvious pain, and in all other respects was quite normal. But if his mother raised him up into an upright stance, he would just sink down. Yesterday, after only 3 treatments he took 8 steps. And his mother reports that whereas before he was very reluctant to be led by the hand, now he loves it. All in two weeks. 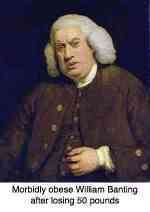 He had a fixation in the sacroiliac joint anatomy. You may well find that your chiropractor will ask certain lifestyle questions and be ready to offer a string of healthy living tips. Today there is an epidemic of diabetes sweeping the western world and diabetes osteoporosis is of supreme importance to you and your chiropractor. 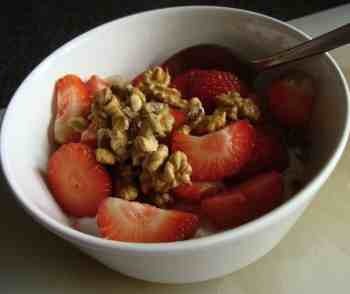 An oats based muesli with strawberries, nuts and a teaspoon of raw honey is excellent if you have raised cholesterol. 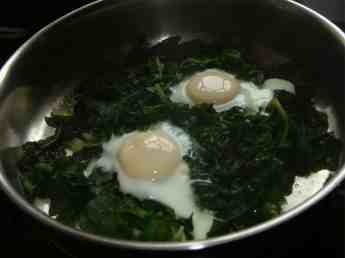 Finished with eggs Florentine, you have the perfect breakfast. If you are banting, go without the toast and enjoy half an avocado on the side for the increased healthy monounsaturated fat. So too other questions, such as What foundation does his/her recommendation about a heel lift have. Thus leg length inequality research may be important to you. Do you know the connection between Alzheimers and exercise? Dr Brenda Rateburg and Dr Willem Boshoff are two chiropractors I can recommend. A DAY IN THE LIFE OF CHIROPRACTOR BERNARD PRESTON ... what do we actually do, eat and exercise?